'Workplace chaplaincy' is the term that covers the church's outreach to the economy which today takes many forms and is supported by many local ecumenical partnerships. Chaplains can be found in supermarkets, at airports, in industry, among glittering tower blocks in business districts. Malcolm Torry tells the stories of the movement's origins, starting with the first record of priests in a place of work - on board naval ships in the reign of Henry VIII. He traces the established church's often tenuous relationship with the working classes and the profound changes in that relationship that occurred during World War 1 and 2, the subsequent growth of industrial mission, and today's challenge of an increasingly secularized society. Published in partnership with the Industrial Mission Association, this is a theological handbook for all involved in contemporary mission among people at work, or in any way concerned about how faith impacts on the economy, workplace ethics, unemployment, recession and other key issues affecting peoples' lives today. Bridgebuilders by Malcolm Torry was published by Canterbury Press in April 2010 and is our 39466th best seller. 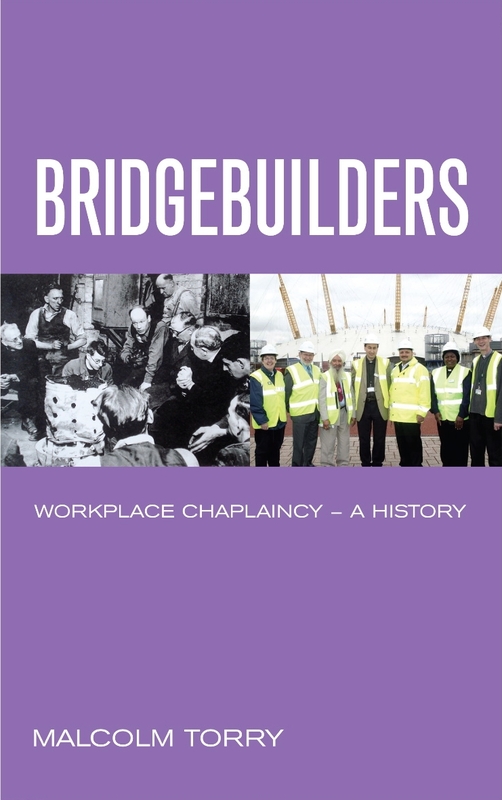 The ISBN for Bridgebuilders is 9781848250369. This fascinating and persuasive book is both a history of workplace chaplaincy and a vigorous exploration of ‘secularization’, identified as ‘the major issue facing the Church’ (xi). Secularization is represented not only as the dominant culture in society but also as the necessary focus of theology and of pastoral care: chaplaincies build a bridge between the church and industrial societies and the traffic goes both ways. Torry welcomes this, seeing some chaplaincy work, and some quoted modern and postmodern theology, as inspired afresh by experiences of the word made flesh. Moreover, while also acknowledging cases where transcendental experience is under-played, he generally acclaims the challenge to us to articulate theological commitments intelligibly. This book itself challenges those of us whose religious experience is made secure by a familiar habit of church. Got a question? No problem! Just click here to ask us about Bridgebuilders.